You know that staying compliant with billing, privacy, and employment law is essential for risk management. But let’s face it: you are so busy putting out fires all day that compliance often falls to the bottom of the list. And that puts your practice at risk. 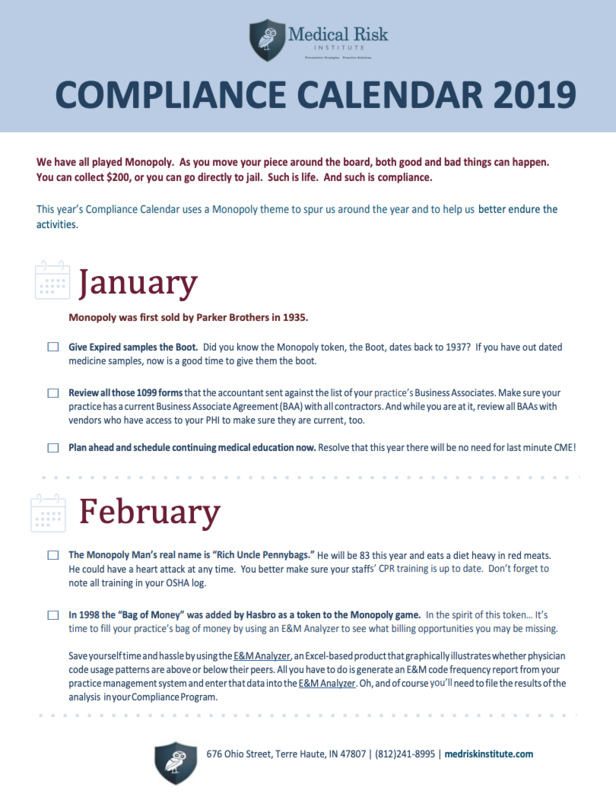 So Medical Risk Institute made this handy, dandy (and, dare we say it, fun) calendar to help you keep up with some of the highest priority compliance tasks each month – and all year long.